In a time where we are consuming more and more and we need to think more about how this affect the environment. To use recycled material and ecological alternatives is good but not good enough. Fjällräven has gone back to the future, by creating a series called Fjällräven Numbers they have created a line of clothing that is made by ecological cotton and recycled polyester and also strong enough to last a long time and if something do breaks it´s made to be easy to repair. 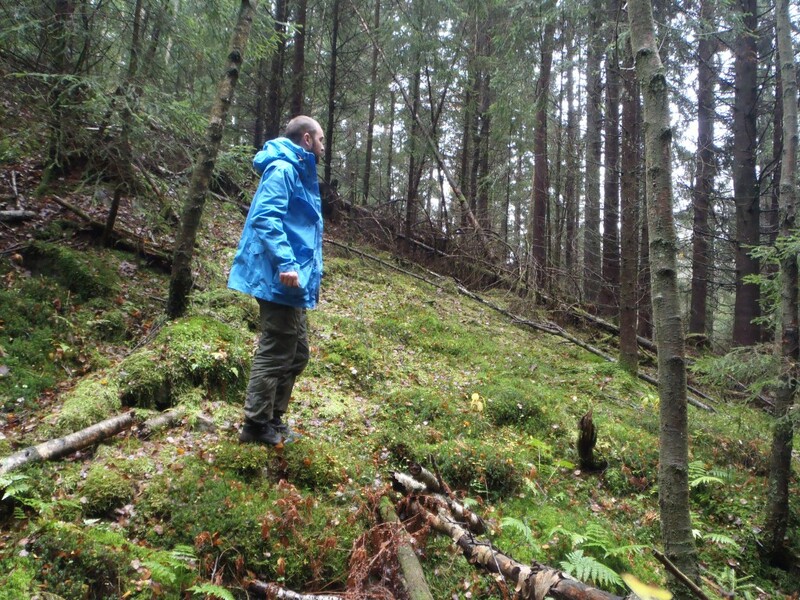 I have used the Jacket No 68 for a while So far I have used it for travels in a forest environment, I have used it when hiking, canoeing and just living in the forest. This jacket does not look like a normal outdoor jacket and looks civil enough for the trips into the big city. More or less I have used this jacket as my only jacket since late summer and it will probably be even better when the winter comes. No 68 is long enough to cover the important and sensitive part from your waist to your stomach to your thighs. But since it´s long it also works really well as an extra layer on top of your sleeping bag or as emergency blanket. It might be a long and not the most lightweight jacket (has that wonderful feeling of being bulletproof). Despite this it´s almost like wearing a second skin and it moves really well with my movements, I have used it a lot when chopping wood on cold days and usually a jacket would be too clumsy but with this on I almost forgot I had the jacket on. There are some really good pockets on this jacket and they will swallow more than you would ever need. Big pockets are often mostly missed during winter when mittens and extra hats needs to be easy accessible. Since this is made out of G-1000 it needs care and maintains from time to time and just like your leather boots that you wax to keep waterproof, this jacket need some wax too. The wax just not help keeping you jacket water repellent is also prolongs the life of your jacket and makes it more resistant to wear. I usually wax my jacket after each wash and depending on the time of the year i will wax it differently. For example in the rainy autumn I want waxed all over to keeping the rain off and in winter, I wax less since I want it to breath more and rain is ales problem, spring and summer is mostly shoulders, elbows and similar part that I wax. One of the weak points on jackets like these are the hoods, they are often too small to give enough protection. Someone at Fjällräven knew this and this jacket has one of the best hoods I have ever used. It´s big, easy to adjust and will protect your face even in the worst of snowstorms. The hood also has the possibility to fold away the outer visor if you want more visibility. After using this jacket for a while it has got me more interested in the other garments in the Number series. If they are like this jacket and have that great feeling that it´s like tailor made and something that will last me a very long time. At the end of the day I don’t like this jacket, I LOVE IT! But to really give it a good review i will continue to post about my adventure with this jacket, will it last, will I still like it in the future and will it be a new classic. Follow this blog and you will find out. 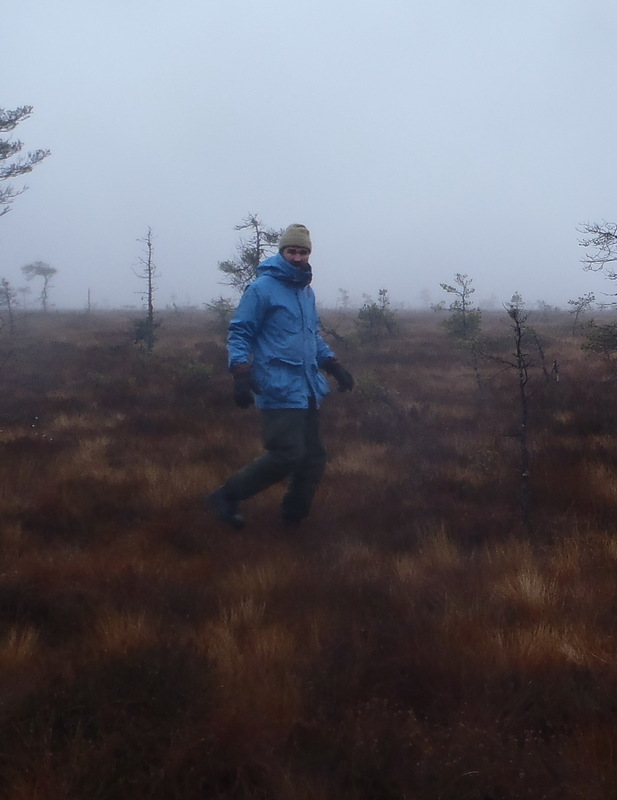 Detta inlägg postades i English, Rekommenderas och märktes Fjällräven, Numbers den november 23, 2012 av Johan, Nordic Bushcraft. Kim Sinding Hansen liked this on Facebook. Nils Grundberg liked this on Facebook. Hi – I just got this jacket. I am a bit worried that it’s just a single layer of G-1000 on the back. Hold it up to the light and you can see through it! I’ve not got any wax to really test, but I’m sceptical that it’ll be really waterproof in heavy rain or in prolonged exposure. The hood is quite good, considering there’s no peak. But that lack of peak means that the lower part of the hood around the jaw pokes out. Looks to me like it’ll catch rain, and there’s no way to draw that lower part in around the throat? What have your experiences in bad weather been like? G-1000 can never be waterproof, but it can be wateresistant if it´s maintained by waxing it. 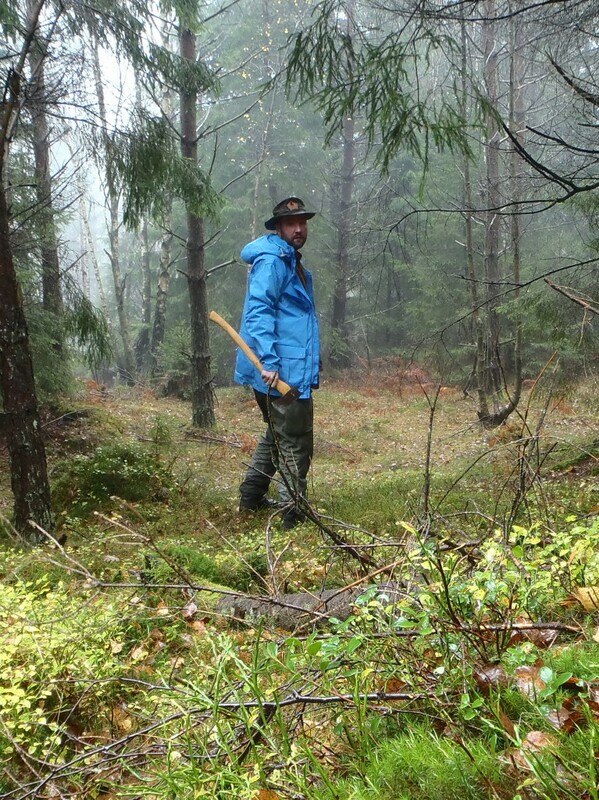 I have used this jacket working in the woods for a day in a light rain and it kept me dry, in heavier rain I usually put on a poncho. Teh good thing with these sort of garments is that they breath a lot better then waterprrof materials that just makes me wt from the inside. This is something that comes to its best during the winter. The hood is really an old design and is made to keep wind and snow from your face, the lower part is not made to come to your throat, instead it´s going to be almost like a pipe in front of your face to protect it from wind and snow. I have not yet experienced this in stromy conditions but what I have heard people who have love this kind hoods. I have used the jacket during autumn and now winter and for winter use it´s perfect, during autumn it was only heavy rain it could not beat but thats the price to pay to have a more breathable jacket. Thanks for the reply. Oh well, guess i should have thought a bit more carefully about it. It’s a nice jacket, but with a drop lining over the shoulders it could have been pretty much waterproof, as the front and hood are mostly double layer. Would have still been breathable. Guess it’ll be fine for summer walks and light showers. Still don’t really understand the point of making such a protective hood on a jacket that isn’t waterproof, what’s the sense of protecting your head while the rest of you gets wet? ! I will keep the jacket. 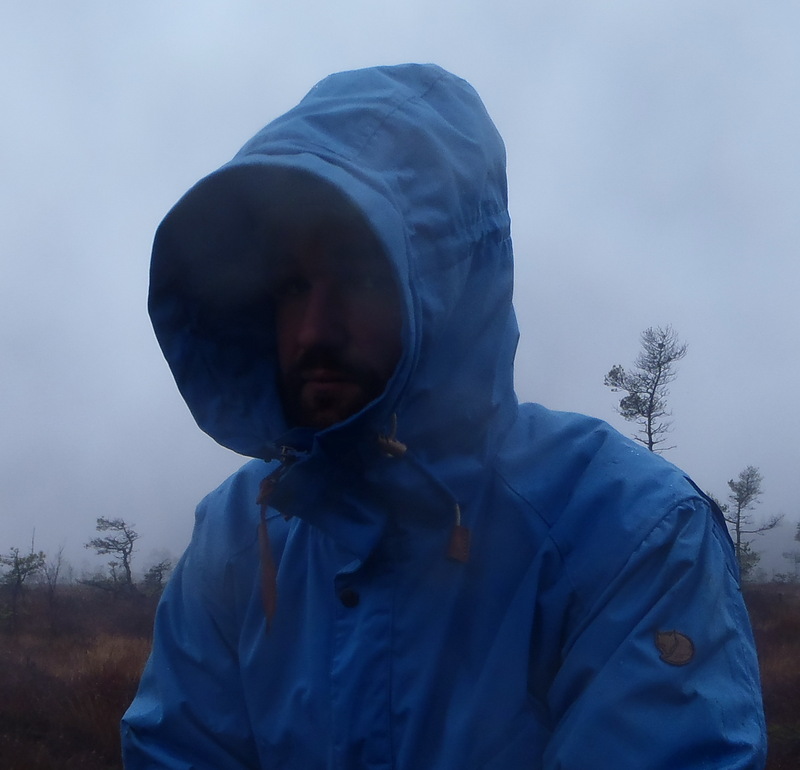 I think it makes a good windproof layer, lots of pockets, breathable, reasonably lightweight and quite tough etc., but maybe not something for walking in the UK’s Lake District or Scottish Highlands, where it can rain for days at a time! But for everything else it’ll be fine. 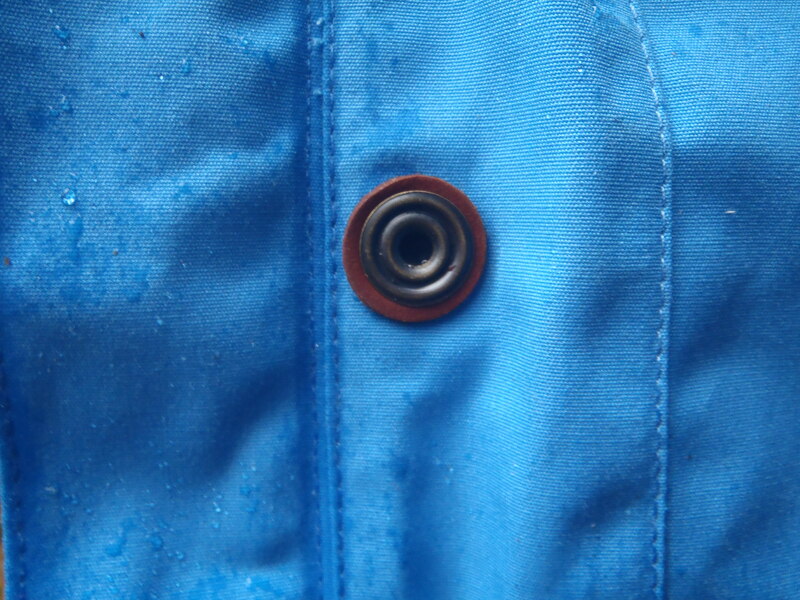 It´s a good windproof breathing jacket that in heavy rains needs a waterprrof layer on top. The hood ismostly designed for winters as we have here with snow and lots of wind and during these sort of conditions the jackets is at it´s best. Can you comment on the sizing of the jacket? What are your measurements and what size is the jacket on the photos? Thanks a lot! The jacket in the photos are in size large. The sizing are slightly larger then normal making room for extra layers making it good for winter use. Best is to try them out in a shop to get the right size. The jacket isn’t available here in Denmark for trying out sizes. So, I was wondering if you could tell me what size you are (height and maybe chest size in cm), so that I can measure weather im a large or a medium. I will be using the jacket for hunting and outdoor use.. I normally go for Large and are bout 185 cm long and around 80 kg and not a clu about my chest size. The jacket are designed to be roomy so you can wear layers under. I would just go for your normal size.